Fort York Red is a milk paint finish. Fort York Red is a vivid red color. All paint finishes are rubbed to give the appearance of wear and age. 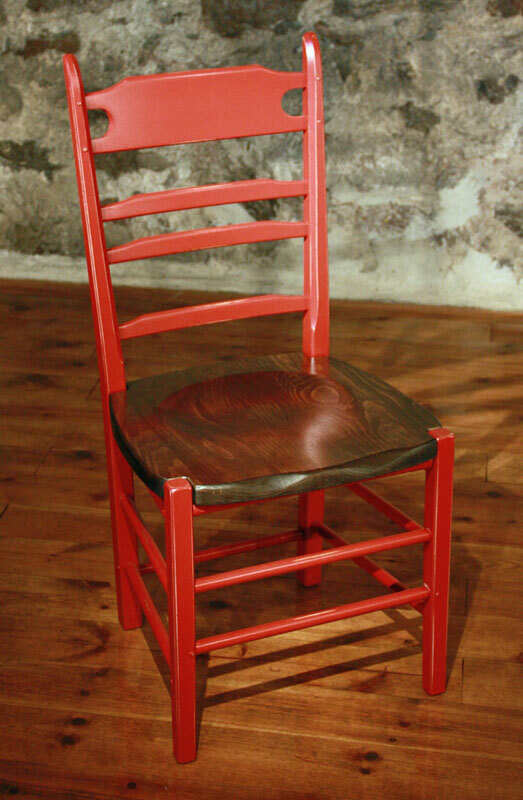 The item shown is a Paysanne Chair (shown without cutout).